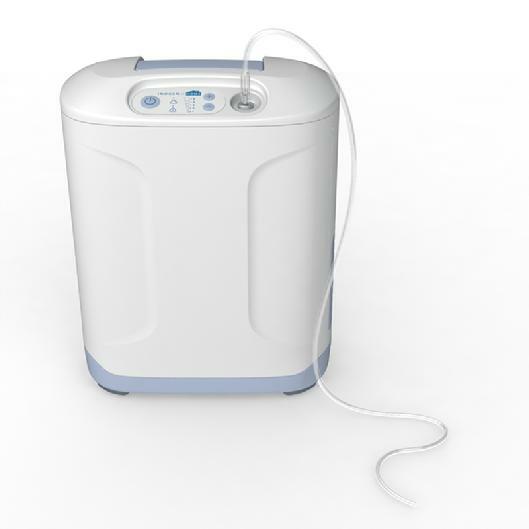 This lightweight oxygen concentrator is perfect for patients who may require the use of continous flow oxygen. Especially at night or with the use of a CPAP type device. At 18 pounds it is easy to load into and out of the car and does not take up alot of room. Dimensions: Depth: 7.0 IN. Height: 16.5 IN. Width: 13.0 IN. Power Settings: AC Power Supply 100-240V, 275W, 50-60Hz. Only 100W on Flow Setting 2.